The Milan Fashion Week 2017 has represented – among other international events – the chance to stock up on new ideas for the next cold season. Coats and their replacements will characterize the Fall/Winter season 2017-2018 in an extraordinary variety of styles and inspirations. Among the trendy outerwear for the new season, we can not fail to mention the long theatrical and fairytale cloaks from Alberta Ferretti presented during the Milan Fashion Week. Resolutely opposed the style of Fay, which instead has sported mini nail with a base of drops and crystal decorations, while Gucci has presented the flowering fur coat. If the ironic outerwear designed by Moschino will be too excessive, then N°21 will not disappoint with its classic, formal and elegant style. The coat will be the true protagonist in the winter season 2018: Jason Wu presents his version tight at the waist by the presence of a thin belt. Is instead different the one by Calvin Klein made of a double waterproof layer. Thom Browne hopes on exclusively male version, while Michael Kors has revisited the classic camel coat with the presence of two cuts that allow you to wear it on his shoulders while pulling out his arms. 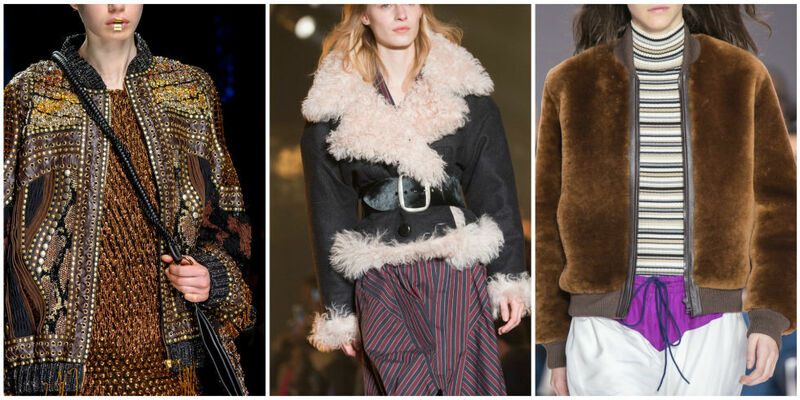 Among trend outerwear will be proposed again also classic fur versions in anything but usual, especially in terms of tones and lines: poudre pink and super feminine in classical style Tory Burch, inlaid motifs for Prabal Gurung. Lovers of sports style will have choice thanks to duvet Lacoste duvets or those of Coach based on floral patterns in micro version. The real must for next season, however, will continue to be represented by leather nail in all different cuts, including one warm in leather anorak style and depopulated on the catwalk Fall/Winter 2017-2018.